The Olive Bloa is very good on North of England streams or a rough and tumbling brooks. Body : Tying silk waxed. Wing : Starling quill slips. 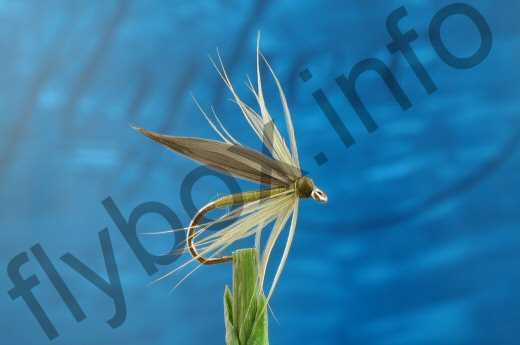 Currently there are no comments about the Olive Bloa fly pattern from other fly fishermen yet.